Last year, inspired by Chantelle, I created a list of photo prompts to shoot during August, and this year I’m taking it up a notch with the introduction of daily emails! Each day you’ll get a short ‘n’ sweet email in your inbox with a photo illustrating that day’s prompt and a few ideas on how to tackle it. Nothing too taxing — just a shot of inspiration each day. The daily emails are completely free, of course — you just have to sign up to get them sent to you. PLUS I’ve invited some photo-loving pals to contribute to the emails, so expect to hear from me and Andrea Scher, Vivienne McMaster, Denise Andrade-Kroon, Ali Edwards, Karen Walrond, Tammy Strobel, Leonie Wise, Xanthe Berkeley, Tracey Clark, Amy Gretchen, Bella Cirovic and Susan Tuttle, too! Read more and sign up to get the daily emails over on the August Break page — you can also add your blog to the blog roll and join our Flickr group, too. This is wonderful Susannah! August Break is so inspiring always and now even better! Thank you darling. I will be travelling 3 weeks to 3 different places in different ways: by plain, a road trip and sail. I will bring you with me all of you. 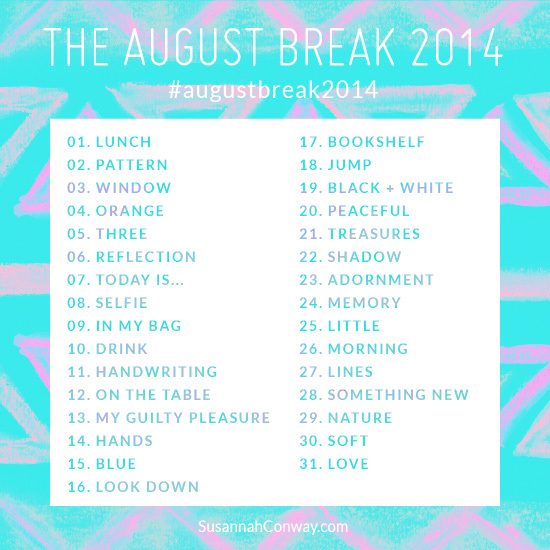 I loved the August Break last year and looking forward to it again. And wow! you have upped your game with it. So excited!! Awesome indeed! This gets better and better every year! so fun! Thank you for this inspiration. I’m glad you honor your need to take a break — it’s so important to have balance! I missed your series last year. So looking forward to August now :).Looks like a lot of fun and inspiring . I can’t wait! The look this year feels kind of 80s/90s and I’m loving it. Yeah! I was wondering if you would create a new list for 2014! I did it last year and and it was great. can’T wait for August 1st. Thanks! 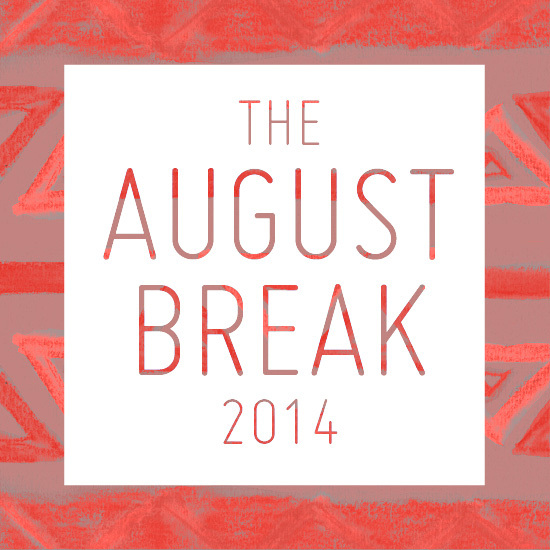 I made a typo on two things when I signed up for The August Break 2014. One my name appears as Brandy Waterfal (missing the second l at the end of Waterfall) and two my blog is http://www.thewaterfalls.ca and not .com as it links to. Any way it can be fixed? Yea! I am sharing in the flickr group! i’ll be with you on flickr, for my second time! oooh! I am SO in! Photos will be taken on my smashed-screen smartphone but it’s the process rather than the end product that counts, right? I loved doing this last year and was hoping you would host again! Can’t wait to get started. Thanks!! Wow! I’ve been a big fan of chantelle’s monthly photo a day challenges for a long time now, and I want to complete this version of yours and use my film camera instead of using my phone. I might also use my last roll (which is a B&W film) and hopefully post everything by the end of the month! I’m really glad I found this, thanks to Katie of http://curatingcuteness.com! Looking forward to your daily email prompts! Hi, the sign up form for August Break will not allow my email address. help.